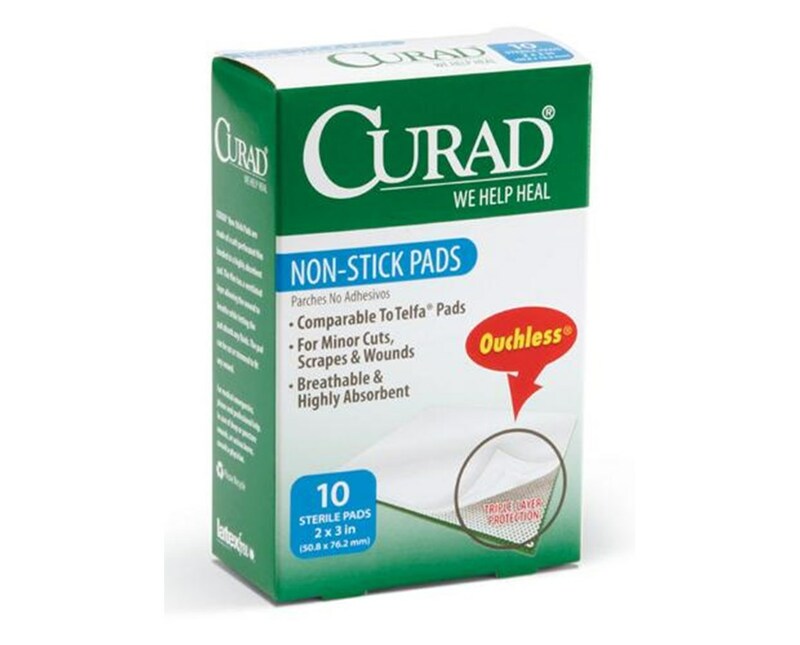 Curad Sterile Non-Stick Pads are wound dressings for light bleeding, large surface cuts, scrapes, burns or post-surgical wounds. 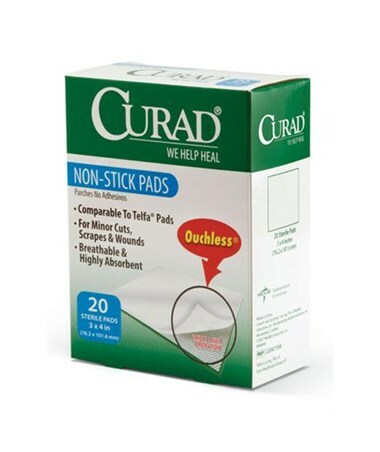 The "ouchless" non-stick pads are made of a soft, perforated Mylar film bonded to a cotton/polyester pad that is absorbent and breathable. 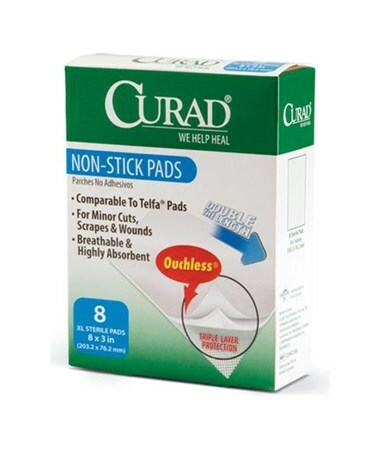 They can be cut or trimmed to fit most wounds. 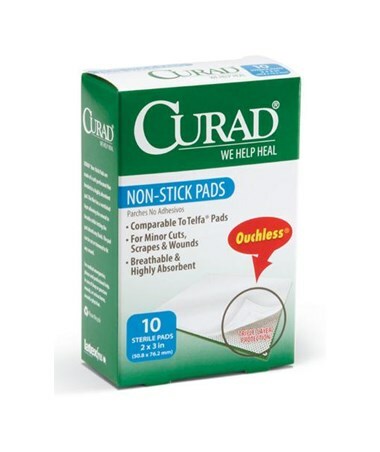 The pads have no adhesive tabs, are latex-free, and come in retail packaging. 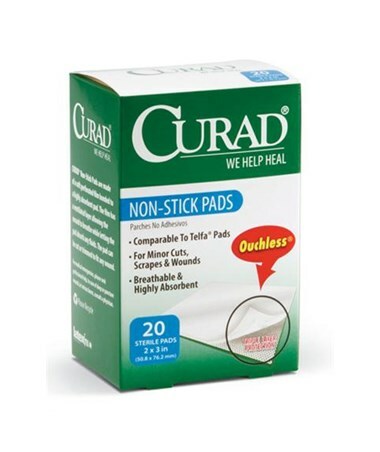 We offer Curad's Sterile Non-Stick Pads in three sizes, each by the case. Select from the drop down menu above. 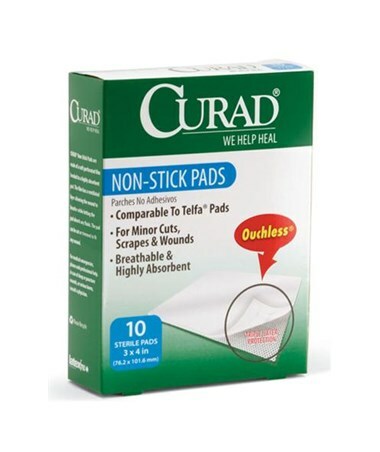 3" x 2", 4" x 3", 3" x 8"